While it’s taken a fair amount of my time and effort to pull off, the show would be nothing without the marvelous guests. To each and everyone of you, eternal thanks. 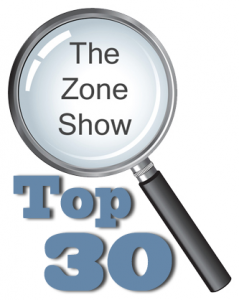 By way of celebration, I thought it would be fun to share the Top 30 podcast shows with you. If you have enjoyed a show, do show your appreciation to help keep this podcast going.